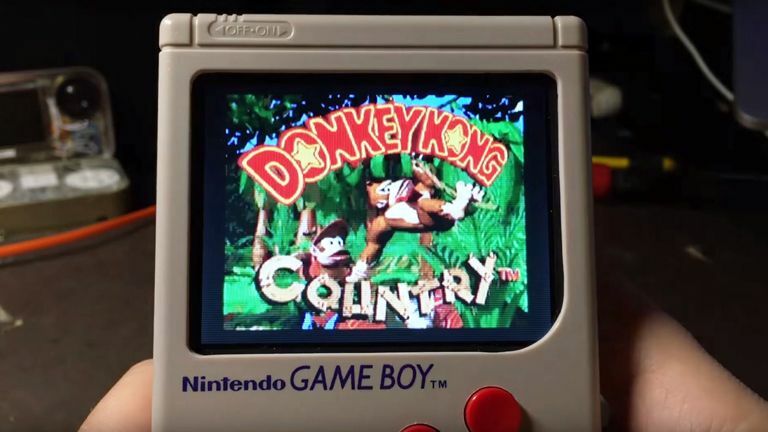 Thanks to the awesome work of a very talented modder, Nintendo's classic handheld gaming console the Game Boy can now play basically any SNES game ever released. Not only that, but the Game Boy Zero - as it has been dubbed by its creator - can also play NES and Megadrive games, as well as any portable Nintendo game right up to the Game Boy Advance. The apparent magic has come courtesy of a Raspberry Pi Zero, which the modder has very neatly installed into the classic handheld. This, in partnership with a few other cool hacks like installing a new colour screen, drilling out and inserting two additional buttons, and building a SD card-reading game cartridge, allows the Game Boy Zero to play all the games via emulation. The pièce de résistance is the fact that the Game Boy Zero even includes a rechargable 2,000 mAh battery, meaning that you won't be bankrupted buying all those AA batteries. Check out the video below to see the system running SNES classic Donkey Kong Country.